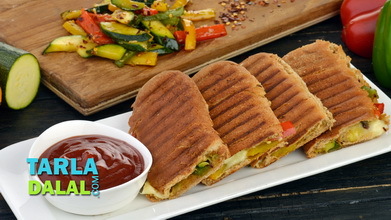 A Vegetable Grill Sandwich this is, but far more exciting than the subtle continental versions! 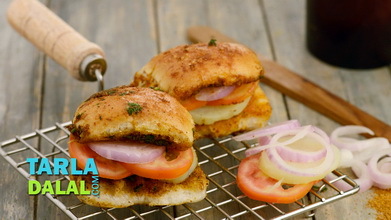 Yes, Mumbai’s roadside vendors take pride in offering the most tongue-tickling treats of all, and this Vegetable Grill Sandwich is no different. 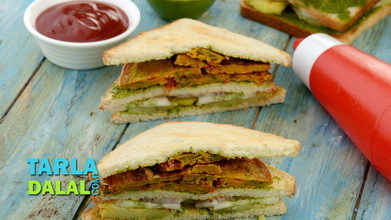 Made with a large assortment of vegetables, oodles of butter, a lavish splash of chutneys and a peppy sandwich masala, this snack is a real indulgence. 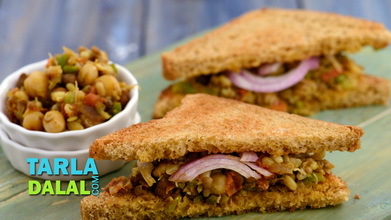 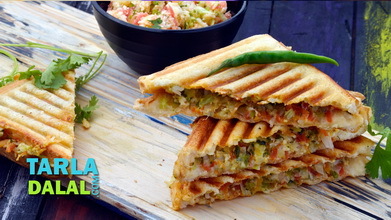 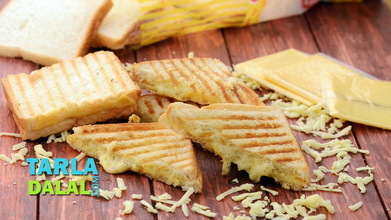 To make vegetable grill sandwich, apply 1½ tsp of butter and 2 tsp of green chutney on 3 bread slices and keep aside. 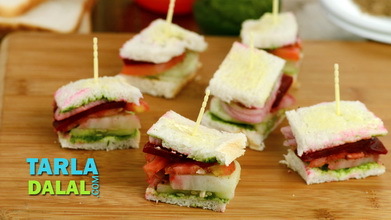 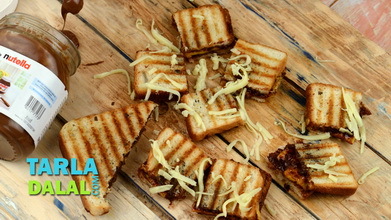 Cut the vegetable grill sandwich into 6 pieces using a sharp knife. 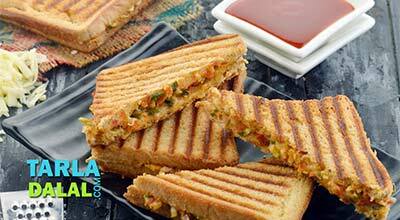 Serve the vegetable grill sandwich immediately with tomato ketchup and green chutney.